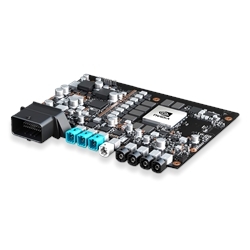 • This product uses the low-power DRIVE Xavier chip to develop the world's first artificial intelligence car computer for Level 5 autonomous vehicles. It can be installed on circuit boards smaller than the size of license plates, and has passed ISO 26262 certification. • This product can fully transfer AI computing from the data center to the vehicle for the nearest execution and new functions can be expanded continuously through wireless transmission during the usage period. • In-car AI assistants easier to build and deploy, with capabilities that incorporate both interior and exterior sensor data to interact with the drivers and passengers. • Enable Level 5 autonomous vehicles to achieve the highest level of functional safety. • Environment Mapping & Tracking.